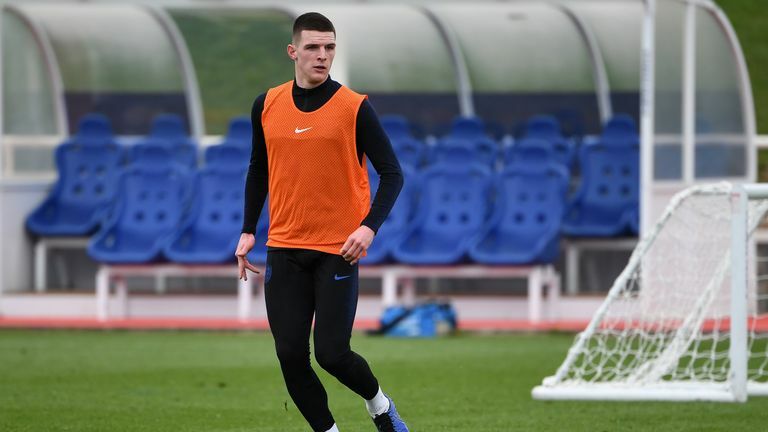 West Ham midfielder Declan Rice says he was "bursting with pride" after he was called into the England squad. But the 20-year-old admits that picking England over the Republic of Ireland was not an easy decision to make. Rice was named in Gareth Southgate's squad for the upcoming European Qualifiers after being granted FIFA clearance to switch international allegiance from the Republic of Ireland. He had appeared for the Republic of Ireland's youth teams and also won three senior caps, but they were all in friendlies, which meant he was cleared to make the switch. In an interview with the Football Association, Rice said: "It was a really tough decision. I think everyone knows my situation with the Republic of Ireland. "I've played there in the youth set-up, but I had to make a decision that was best for me. Rice's impressive form with West Ham ensured that he has quickly forced his way into Southgate's plans. Regarding his call-up, Rice said: "You can't describe it, I just couldn't believe it. "I was just bursting with pride. It's everything that you've wanted to work for as a kid and it has come true. "The call-up is one of the best feelings you're ever going to feel."